Throughout November each year, “Movember” takes place in the UK and worldwide. 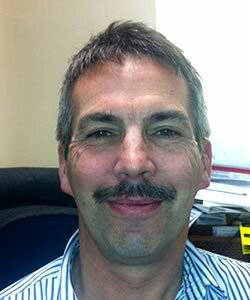 Thousands of men grow moustaches and beards to raise money and awareness for men’s prostate and testicular cancer. Our very own Dr Travell and Dr Shanks have proudly taken part to help raise money for the charity! 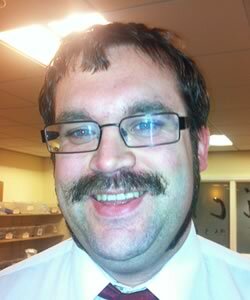 Please see www.uk.movember.com for more details. 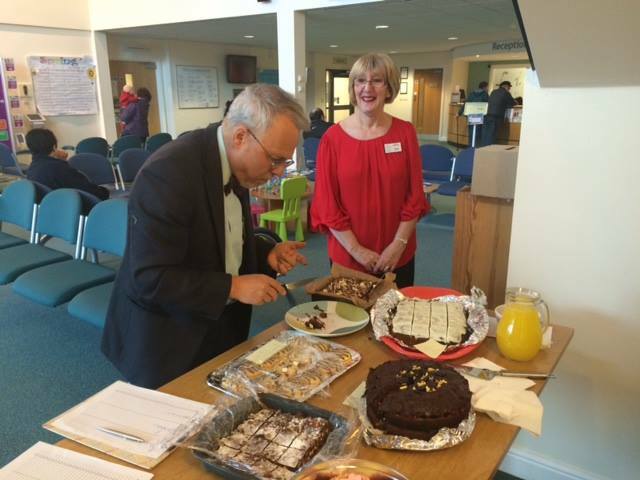 The Littlewick Medical Centre has taken part in Comic Relief by holding their very own great bake off. Members of staff have been busy baking to have their efforts judged by Senior Partner Dr Weston-Smith. All entries were judged by taste, texture and appearance and after a lengthy decision making process Dr Pizzey’s marble cake was judged to be the best with Dr Walton and Dr Halls coming in a close joint second place with their carrot cake and bread and butter pudding. Afterwards, the cakes went on sale to both staff and patients along with refreshments with all proceeds going to Comic Relief. In total £141.46 was raised and we would like to thank everyone that took part and everyone who donated so generously. 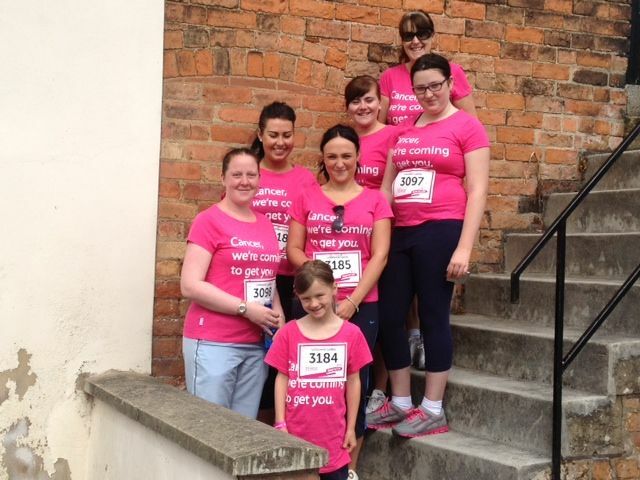 On Sunday 14th July 2013 some of the Littlewick Team took part in the Cancer Research UK Race for Life at Darley Park in Derby. We ran for our loved ones past and present and our patients currently fighting or those who are survivors of cancer. We completed the run in around 43 minutes with the sun shining down on us. On Thursday 11th July 2013 we held a Berry Bonanza Bake Off for those staff members that could not make the run and we made an impressive £90. In total we have raised over £300 for Cancer Research UK from our money to enter the race, the t-shirts we purchased, the bake off and our kind sponsorship from family, friends and Littlewick patients. We would like to say a huge thank you to everyone that has helped us achieve this. 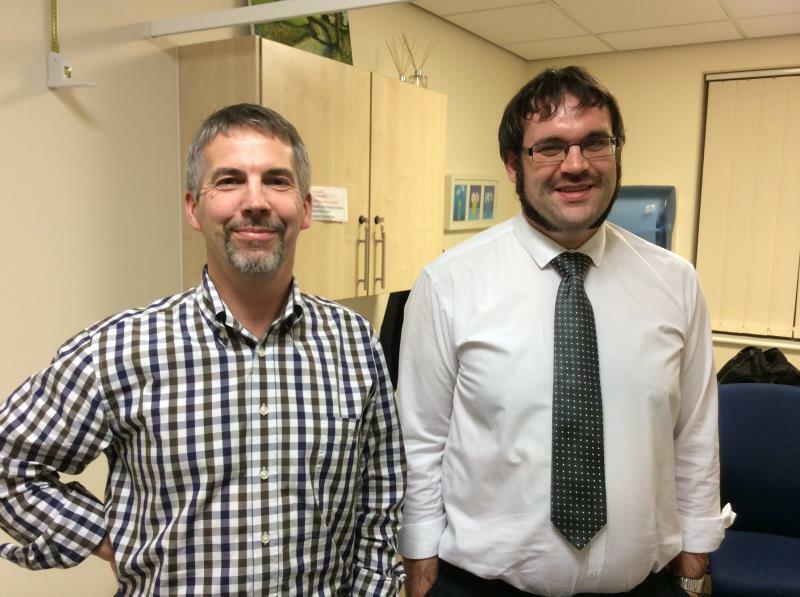 The surgery would like to say a big thank you to Dr Travell and Dr Shanks who took part in growing a moustache throughout November, raising money for prostate cancer awareness. In total they raised £63. 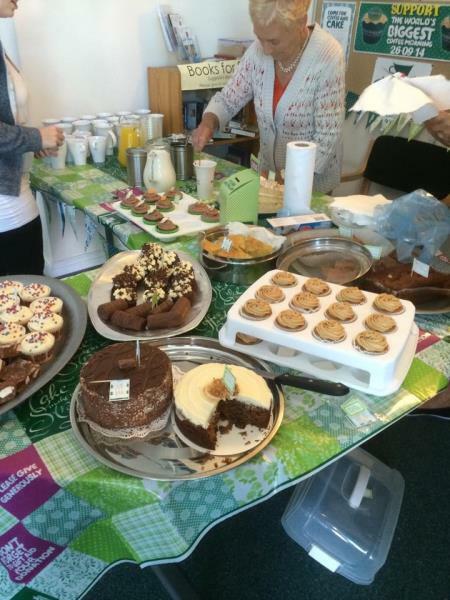 Littlewick has held coffee mornings in support of Macmillan Cancer Support. British Heart Foundation London to Brighton Bike Ride 2015. 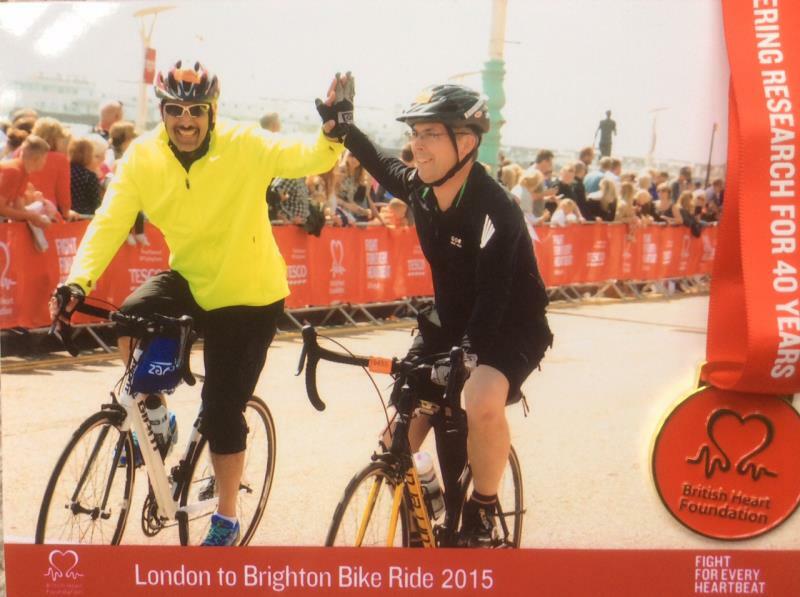 Dr Travell and Dr Abbasi complete a London to Brighton Bike Ride in aid of the British Heart Foundation 2015 and raised £80. Each year Littlewick holds a bake off in support of Comic Relief. Christmas Jumper Day for Save The Children. 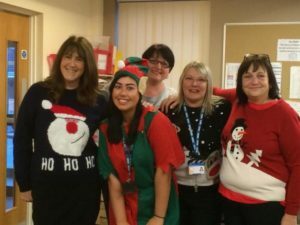 In true festive spirit, Littlewick held a christmas jumper day where staff paid for come in a christmas jumper.